Removal ProcedureRemove the intake camshaft position actuator. ReferCamshaft Position Intake Actuator Replacement. 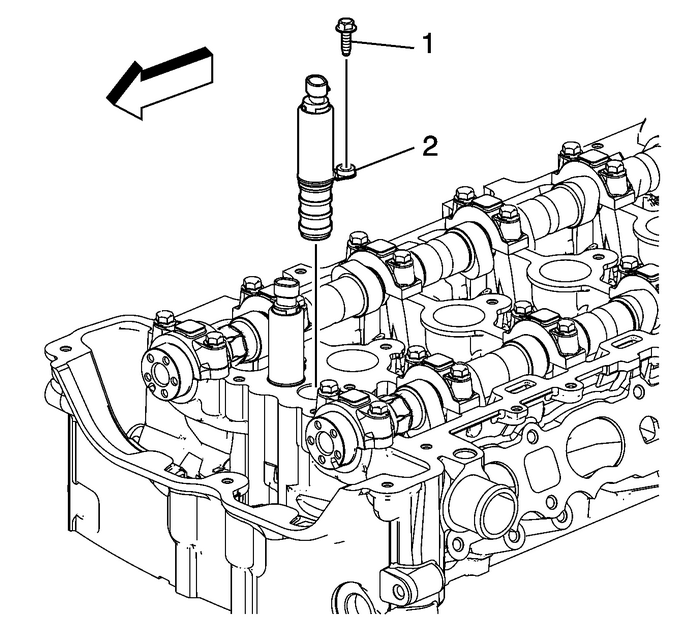 Remove the intakecamshaft position actuator solenoid valve bolt-(1) and valve-(2). 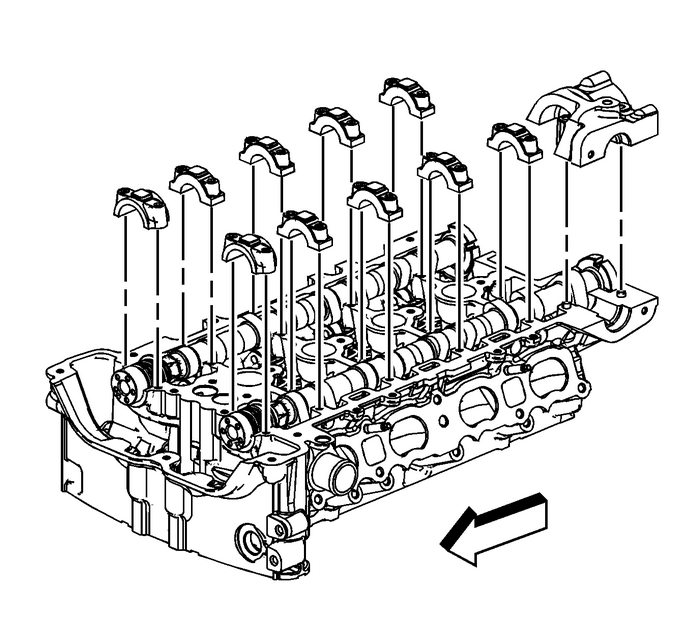 Remove the rear cylinderhead cover plate-(1). Remove the intakecamshaft bearing rear cap bolts and cap-(2). 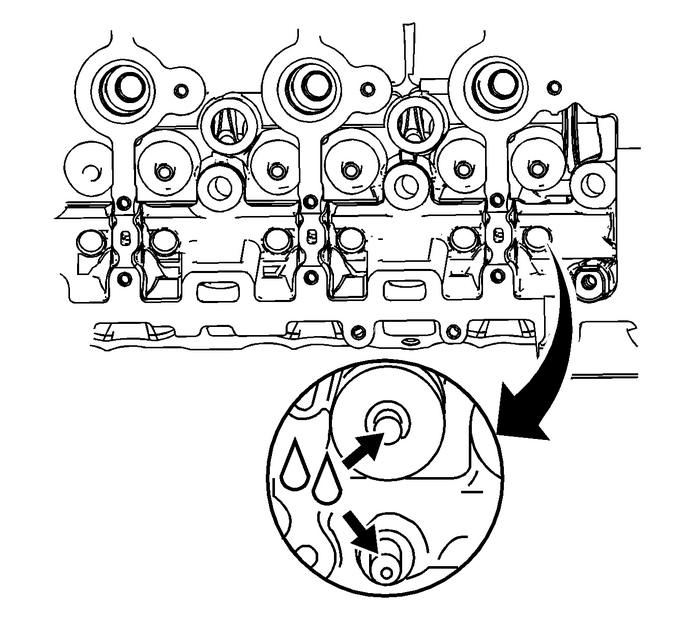 Install the hydrauliclash adjusters into their bores in the cylinder head.Lubricate the hydraulic lash adjusters. Refer toAdhesives, Fluids, Lubricants, and Sealers. Position the roller followers on the tip of the valve stem andon the lash adjuster. Lubricate roller followers. Refer toAdhesives, Fluids, Lubricants, and Sealers. Note:If equipped with following engine;LAP, LE8, LEA, LUK, or 2011 LAF, ensure the intake camshaft notchis in the 10 o'clock position and the exhaust camshaft notch is inthe 7 o'clock position. 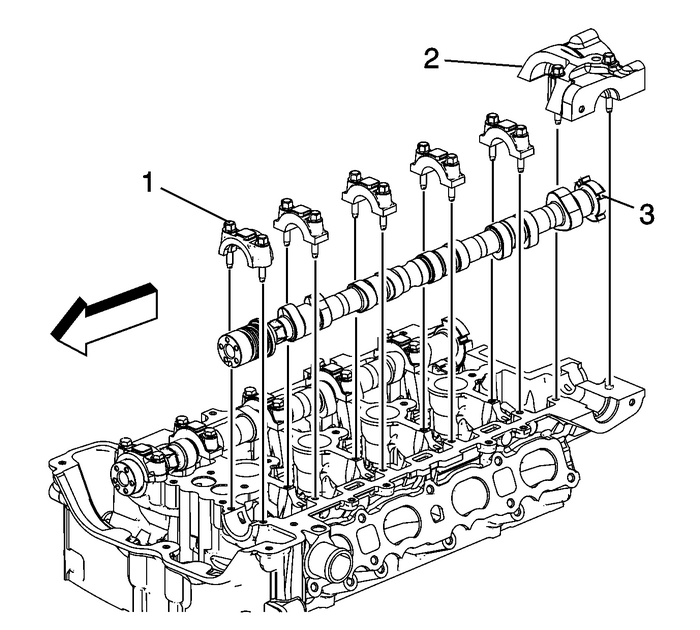 Set the intake camshafton top of the roller followers in the camshaft bearing journals andlubricate. Refer toAdhesives, Fluids, Lubricants, and Sealers. 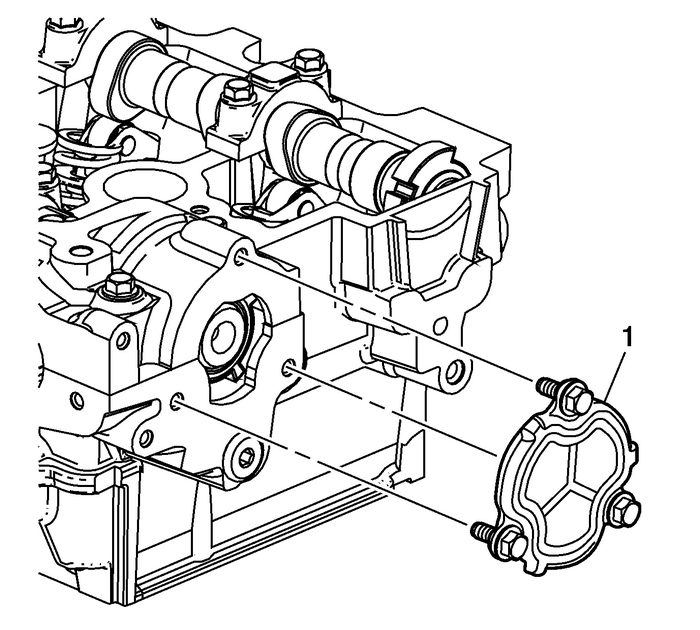 Note:The number 1 cylinder must be at topdead center-(TDC), crankshaft keyway at the 12 o'clock position. 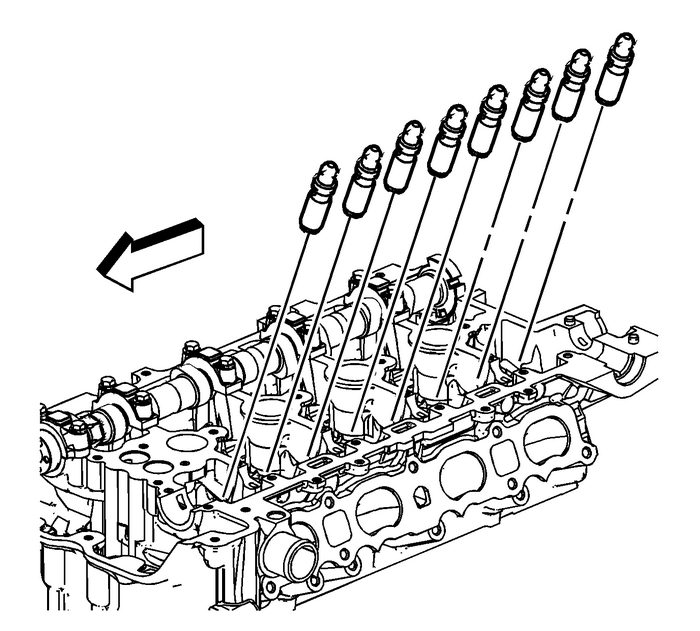 Install the intake camshaft with the notch on the front at approximatelythe 10 o'clock position-(2).Install the camshaft caps and hand start the camshaftcap bolts.Tighten the camshaft cap bolts in increments of 3-turnsuntil they are seated. 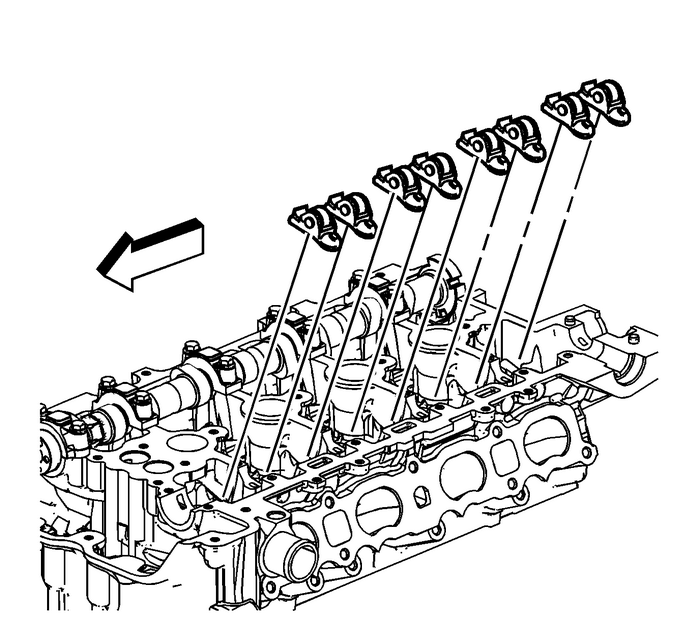 Tighten the camshaft caps to 10-Y- (89-lb-in). Note:It is critical during installationto ensure the bearing rear cap and cylinder head alignment is correctand the mating surfaces are flush. Ensure that all sealing material has been removed fromthe components, and the sealing surfaces are clean and free of contaminationprior to applying the sealer.Install and align the rear cap within 20-minutesof applying the sealer. Note:Apply the sealer to all locations centrallylocating the bead on the rail. 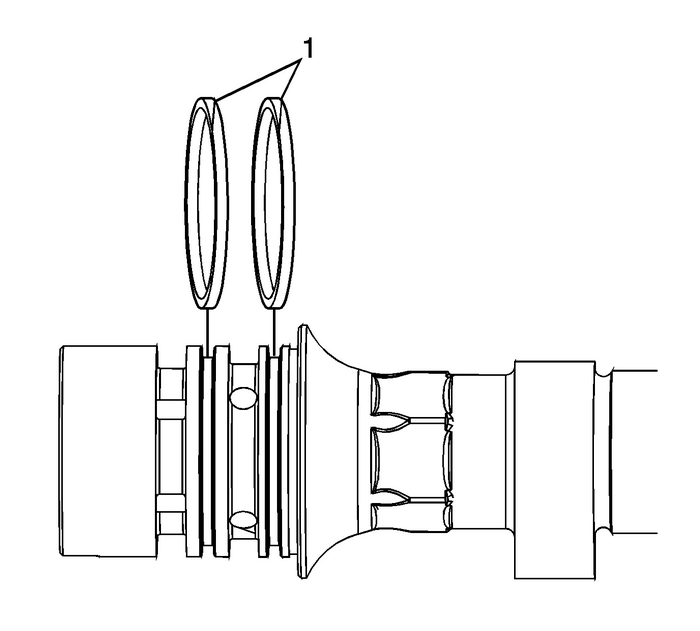 Run bead to 5.0-mm, dimension a, as shown.Where the cap ends on the perimeter rail, extend beadapproximately 4.0-mm beyond edge of cap.Run bead, dimension c, 32-mm from the edge of thecylinder head as shown.Run beads, dimension b, 20-mm from edge of cylinderhead as shown.Apply a 2.5-mm bead of sealer to the cylinder head atthe number 6 intake camshaft rear cap mating surface. Refer toAdhesives, Fluids, Lubricants, and Sealers.Install the number 6 intake camshaft rear cap.Tighten the cap bolts evenly to 5-Y(44 lb in).Tighten the cap bolts evenly to 10-Y(89 lb in).Back the cap bolts out 120-degrees.Tighten the cap bolts evenly a final pass to 10-Y (89-lb-in). 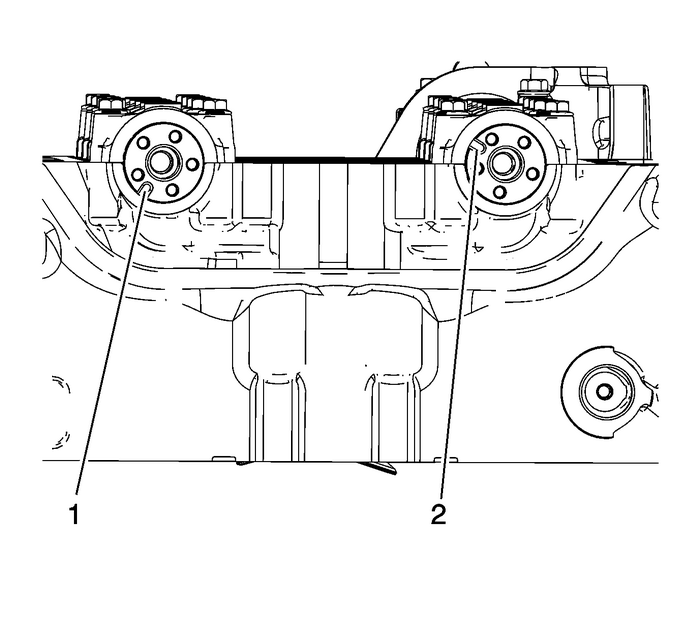 Remove all excesssealing material from the fuel pump roller lifter bore-(1),and ensure the bore is free of debris. Do not allow any excess sealingmaterial to remain within the cylinder head or on any sealing surface.Remove all excess sealing material from the fuel pumpassembly sealing surface-(2). Verify the seal onthe cylinder head cover plate-(1) is intact and in good condition.Ensure that the opening plate sealing surface is cleanand free of excess sealing material. 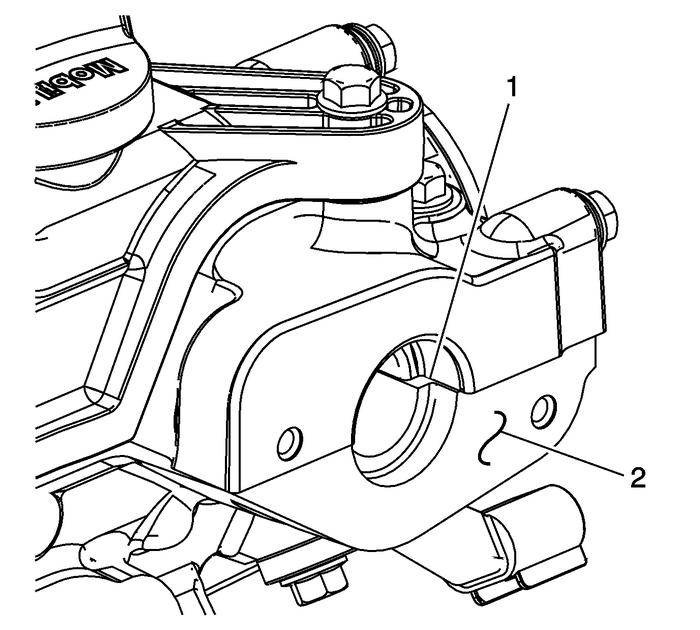 Install the rear cylinder headopening plate-(1) and tighten the bolts to 10-Y(89-lb-in). Install the intakecamshaft position actuator solenoid valve-(2). 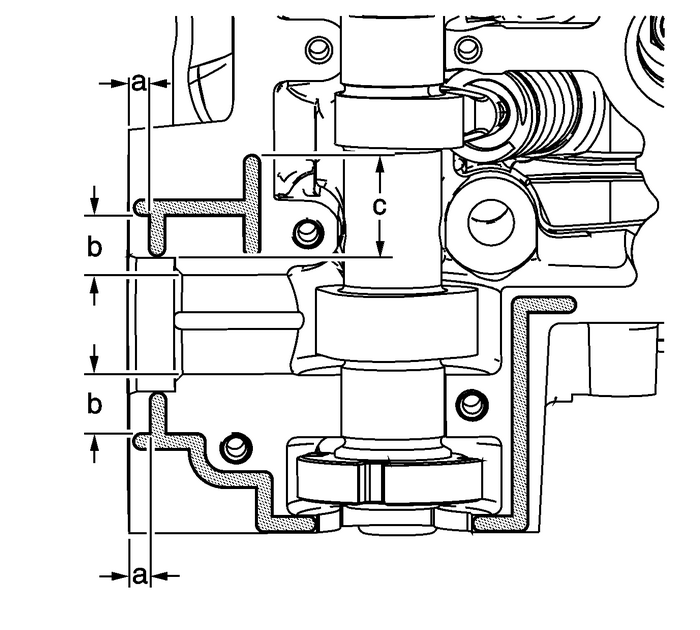 Tighten thesolenoid valve bolt-(1) to 10-Y(89-lb-in).Install the intake camshaft position actuator. ReferCamshaft Position Intake Actuator Replacement.